The world of PHP frameworks has grown wider in all these years. There is a wide range of frameworks for developers to choose from. There is no hard and fast rule to decide on the type of framework that should be used. 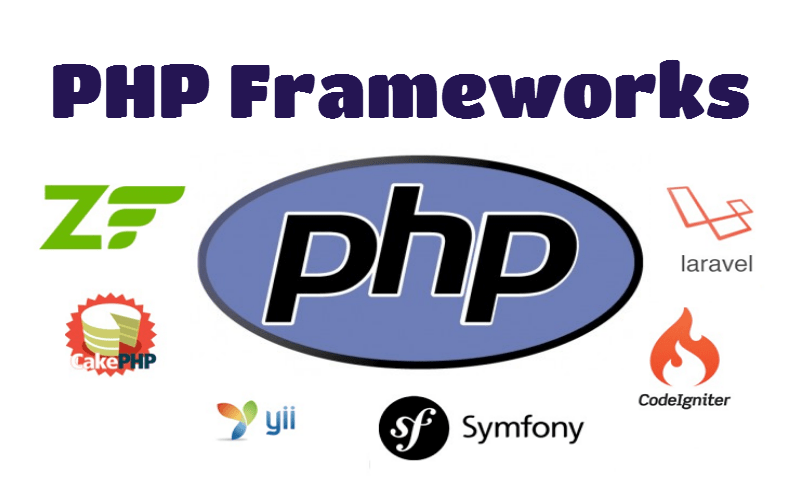 However, it is always better to know the considerations while choosing an ideal PHP framework. Before diving deep into the subject, let’s talk a bit more about PHP frameworks. PHP frameworks cut short the development process of web applications written in PHP. It thus provides a basic structure to the web applications. Therefore, the framework ensures rapid development and streamlines the overall time required. The benefits of using this framework do not stop here and go beyond to building stable applications and reducing the amount of repetitive coding. Coming back to the points, let’s now have a discussion on the points that should be considered while choosing a PHP framework. It is very much important to look down the demand of the project prior to deciding on the framework. If the requirement is to choose plugins featured platforms, it is the best to go with choice such as Joomla, WordPress, or Drupal. These may sound like pure content management systems but have now grown as the exceptional platforms for developing websites. On the other hand, if there is the requirement of going with programming, it is ideal to choose PHP based frameworks like Zend, Cake PHP, CodeIgniter, etc. There has been a rapid increase in the usage of MCV or model view controller design pattern in the web programming. Here developers must analyze the scope of MCV with respect to the framework to be used. Talking particularly about Zend, it has implemented MVC loosely so that developers could modify their design. On the other hand, frameworks like Yii have a strict implementation of MVC. Therefore, it is better to choose Zend, if flexibility is required to modify the designs. The fact behind the use of frameworks instead of using flat PHP development is to ensure the re-use of database access layer that is there in the framework. This helps developers to get rid of the task of recreating the database access. Frameworks like Zend, Yii, CakePHP, etc. are known for offering ORM or object relation mapping support. It additionally helps in making the programming very much easier for the developers. Frameworks must have a sturdy mechanism to keep web applications against vulnerabilities to ensure cross-site scripting prevention, cookie attack prevention, cross-site request forgery prevention and so on. Developers must consider this aspect seriously and the framework that they have chosen must prescribe guidelines to help developers in programming the application. Keeping away the vulnerability issues must be given due importance. The framework that is to be used must have built-in authentication as well as authorization modules. It means that there must be authentication and authorization for a web page and it needs to be limited to verified users. Authentication is all about checking that someone is exactly the same who they claim to be. Authorization further ensures that the person, once authenticated, has the permission to manipulate the resources. More to this, these modules must have the flexibility. Caching comes as one of the effective ways to improve the performance of web applications. It is a time-saving process to store static data in the cache and serve the same when requested. Frameworks must be efficient to handle cache to contribute to the effectivity of the performance. Thus, the support for caching must be analyzed well to know how the access to caching mechanism has been provided by the framework that has been chosen. With the explanations that have been explained here, we have now come to the end of the article. It is important for the developers to have these considerations kept well in the mind before choosing the PHP framework. All these points must be analyzed well so that the task of choosing the required PHP framework could be accomplished with ease. Tom Hardy has gained much experience while working as an e-commerce website developer at Sparx IT Solutions. He is also associated with finding new information on increasing the social media techniques with the users. He also shares his researched work through engaging posts. This entry was posted in 'corePHP', PHP and tagged php on March 23, 2016 by Tom Hardy.